The Diagnostic Policy service (DPS) enables problem detection, troubleshooting, and resolution for Windows services and components. If this service cannot start and you receive an "Access Denied" error 5, when you try to start the service manually then read this tutorial to fix the issue. The Diagnostic Policy Service is required to diagnose Windows problems using the troubleshooting tools that are offered in Windows 7, 8 or 10 OS. 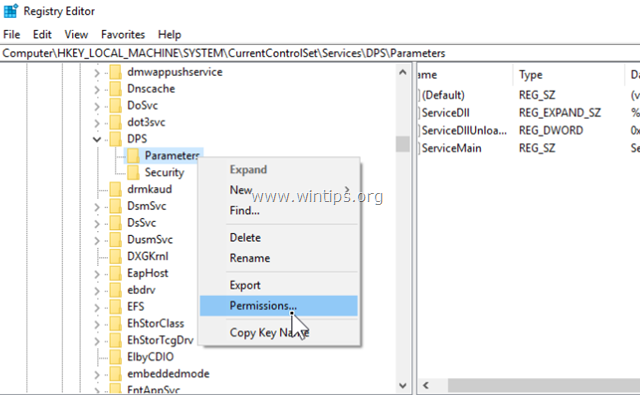 If the DPS service is stopped then you won't be able to diagnose and fix several system issues that affect Windows' operation (e.g. Networking or Internet Access problems). Step 1. Scan for Viruses/Malware. Step 2. 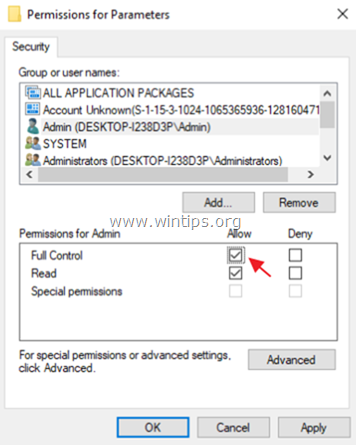 Modify Diagnostic Policy Service Registry Permissions. 4. 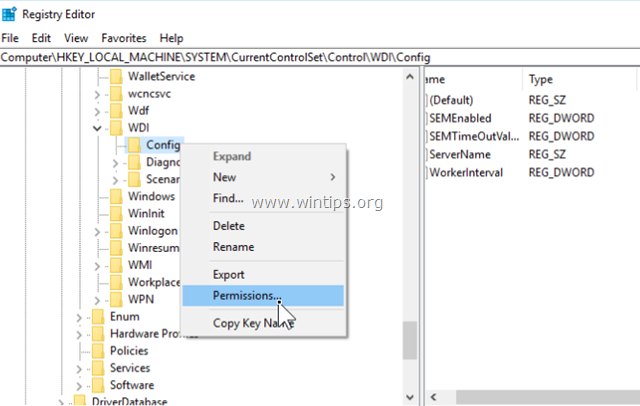 Right click on the Parameters key and select Permissions. 5. Click Add, type your account name/username in the search box and click OK.
6. Select your username and check the Full control box to grant to your account full control permissions on the 'Parameters' key and click OK.
8. Right click on the Config key and select Permissions. 9. Click Add, type NT Service\DPS in the search box and click OK.
10. Select the 'DPS' and check the Full control box. 11. 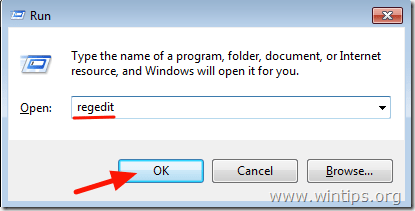 Click OK and then close the registry editor. 13. After the restart, check if the "Diagnostic Policy Service Cannot Start" issue, was resolved. If not, then continue to next step. Step 3. 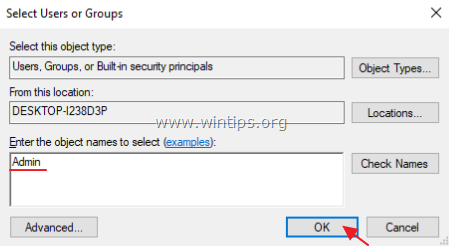 Add 'NETWORK SERVICE' & 'LOCAL SERVICE' to Administrators group. b. 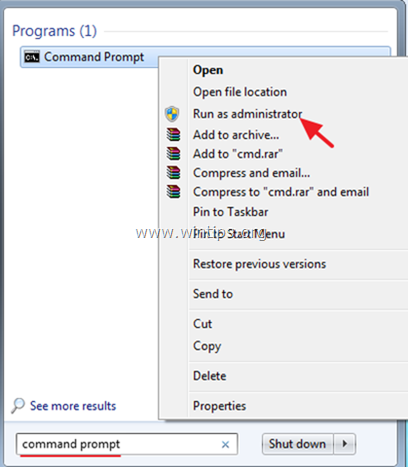 Right click on the command prompt (result) and select Run as Administrator. 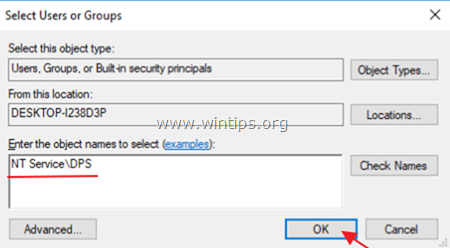 « How to Automatically Backup Outlook 2016, 2013 or 2010 PST Data File. » How to Move Google Apps Domain Website to Another Host. Finally… a solution that worked. I had previously done step 3, but that was not enough to fix it. The registry entries were the keys to getting it to work. Thank you. Thanks a lot. It is too bad that Microsoft cannot share such useful remedies! Thanks alot… Good Solution. Working again now.